Never Enough Nails: Lynnderella Friday, Vol. 46! Just a quick Lynnderella Friday today, as I posted most of my current swatches on Monday! 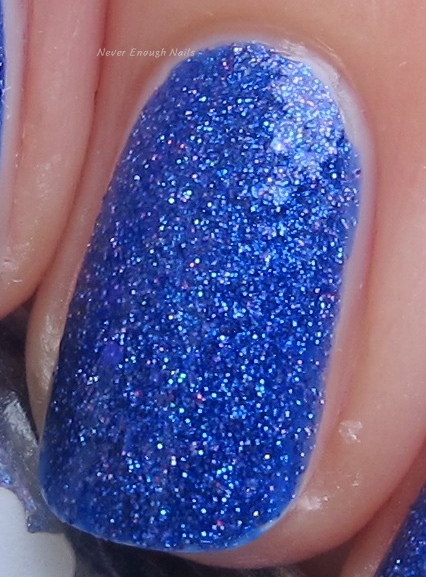 Lynnderella Blue Blazes is a deeply saturated cobalt that can look more purple-y depending on the lighting. It's nicely holographic too, but I had no sunshine the day I took these, so sorry!! Lynnderella describes this one as "orchid holographic microglitter accented with blazing iridescent magenta glitters. Royal blue base with multishimmer". This applied well and was opaque in two coats. I did have to use two layers of a thick top coat (Vapid High Shine QDTC) and I still wish it was a little smoother. Another Lynnderella swatchers recommended Gelous plus Essie Gel Setter, so I will try that combo next time. This is my NOTD right now and I'm obsessed. 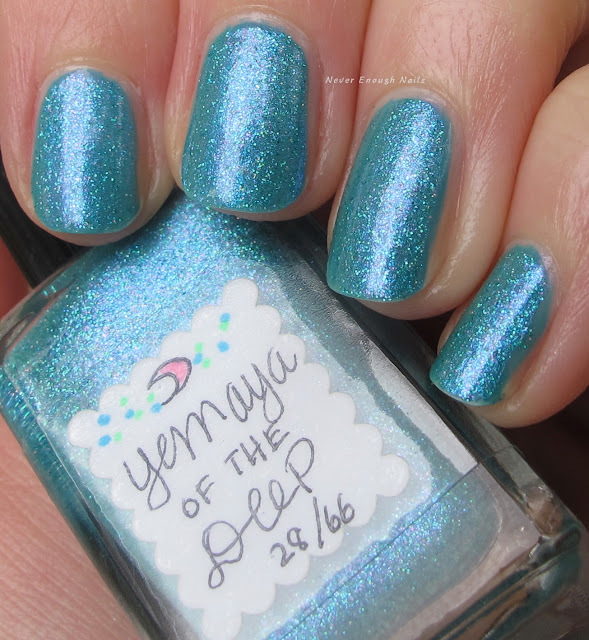 The latest is Lynnderella's Goddess series, Yemaya of the Deep is a stunning teal shimmer with microglitter and a strong pink flash. It is aptly described as "turquoise-teal blue-green shimmer-glitter hybrid that features cool pink shimmer and holographic teal microglitter". This is one coat of Yemaya over RBL Aqua Lily. They are a perfect pairing if you want to use less of your precious Lynns! Yemaya would definitely be opaque is 2-3 coats depending on application. It applied beautifully. One layer of TC and it's perfectly smooth! Both of these beauties are available now. Yemaya is on lynnderella.com and Blue Blazes is in the eBay store.